Have you ever owned a board game that everyone you introduced it to absolutely loved it? It's called "Times to Remember". 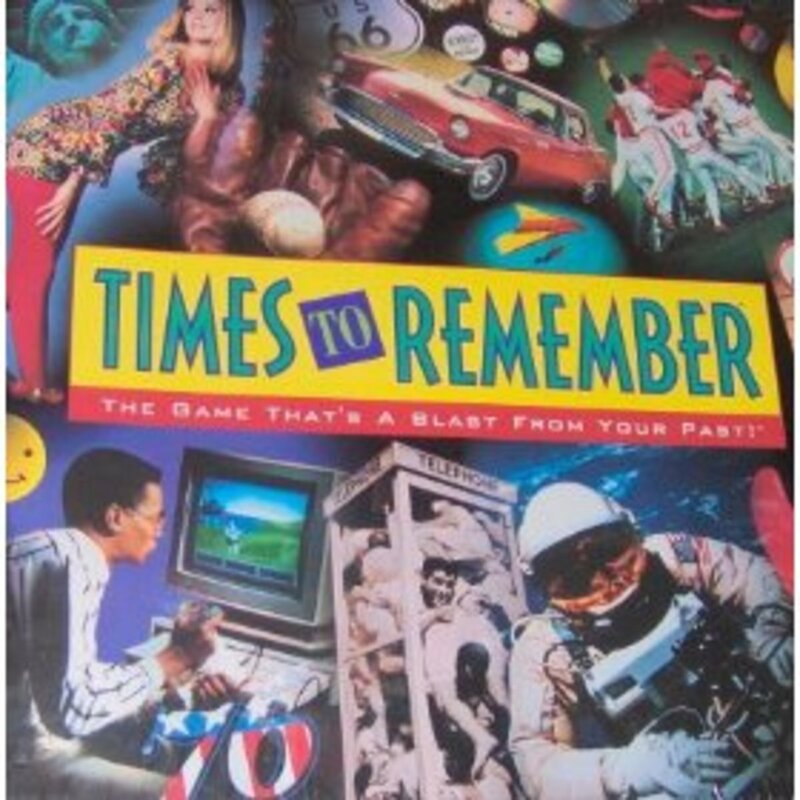 The tagline is "The Game That's a Blast From Your Past". It was manufactured by Milton Bradley. I found the game on a clearance rack at K-Mart back in the early 90s. I own two copies of the game and I've taken it to every family function and party ever since. At least a dozen of the people I've introduced it to have tracked it down and purchased it and take it everywhere they go. Countless others have purchased it as a result of playing it with them. This is the Game You MUST have! 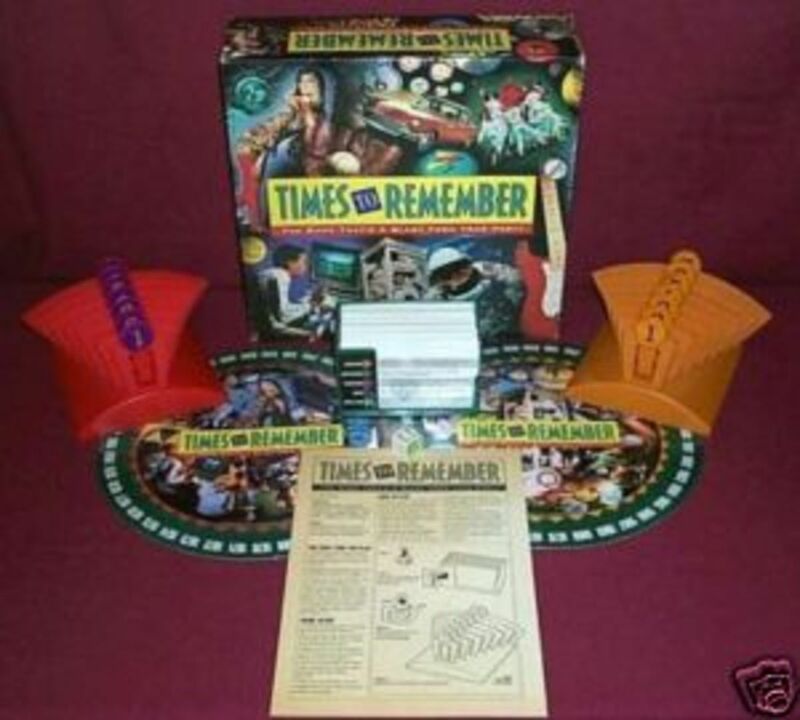 Times to Remember-An Awesome Game Everyone Should Own! 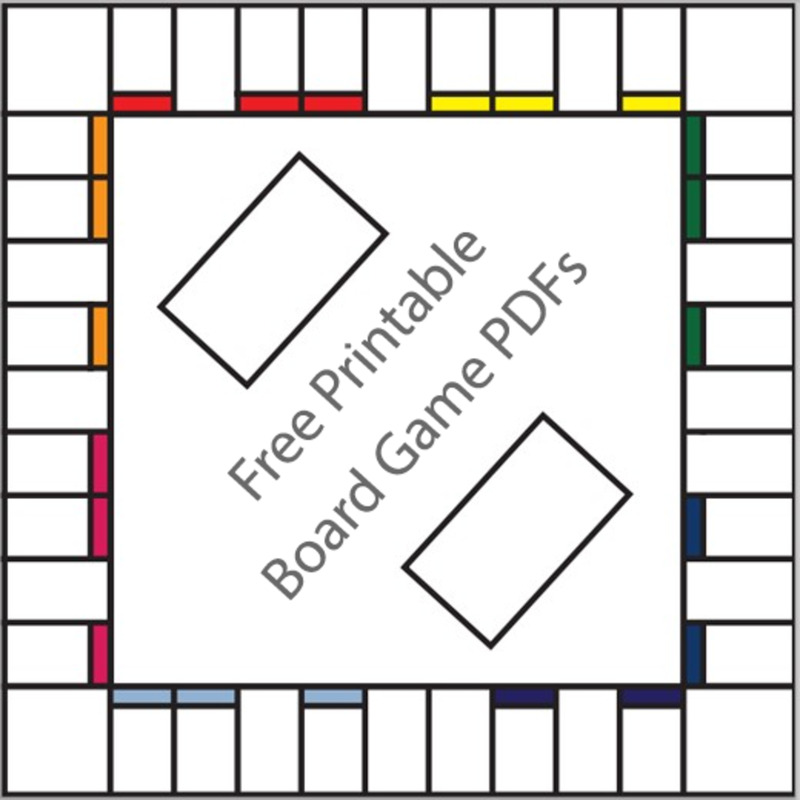 The game can be played with 2 or more people. You'll find that it is not necessary to have an equal number of players on a team or that all players have to remain for the duration of the game. 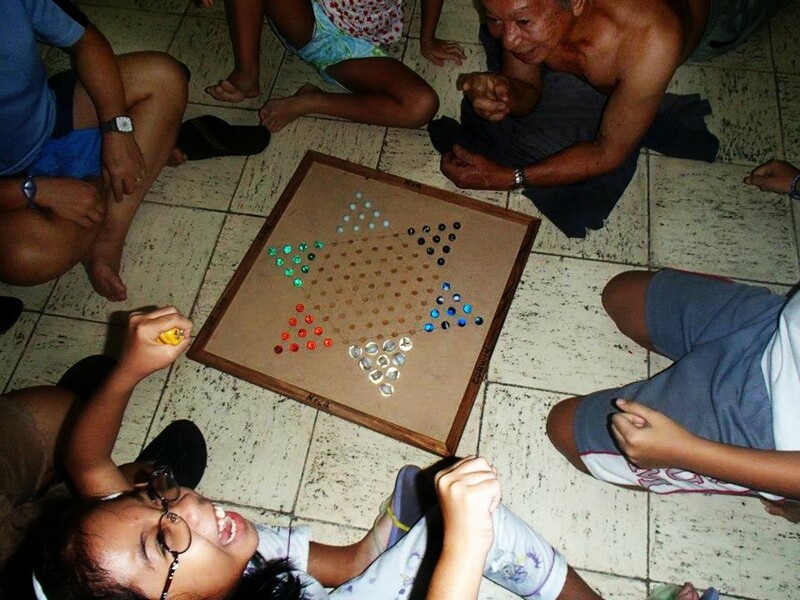 For this reason, it's a great game for family reunions or parties where people want to be free to do other things. Each team takes turns rolling the dice to determine the category both teams will be required to answer a question about. Once the question is read out loud by a volunteer from either team or a non-player, both teams have a chance to quietly discuss amongst themselves if anyone in the group is confident they know what year the event took place. Each team is given a round playboard that has all of the years from 1950-1990+ on it and 7 markers. There is one marker that is for marking just one year. There is a marker to mark two years, one for three, etc. The object of the game is to be able to use each marker. You do this by correctly identifying the exact year on one question, within two years on another question, within 3 years on another, etc. If someone is confident of the exact year something took place you would want to use the marker for one year and place it on that year. If you are uncertain, but knew it was either one year or another, you would want to use the one that allows two years. If you have no clue, you'd want to use the largest one you have (7 at the beginning of the game) so that hopefully, you can guess it within seven years of it happening. After both teams are happy with their choices, then someone reads the answer. If the correct year was within the range chosen on the marker, then you discard the marker and that range is no longer available to use for that round. For instance, if you just guessed something and used the 7-year marker then for the remainder of this round you could only use 6 and below. You can use them in any order. Just remember though, at some point there is one question that you will have to know the exact year in order to win. 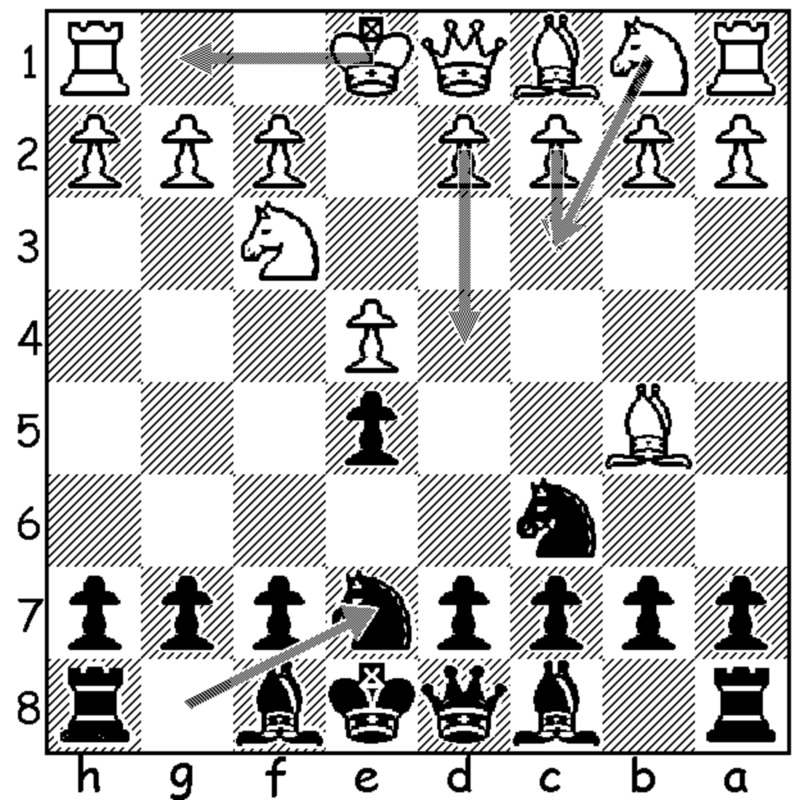 The first team to use all seven markers wins. Everyone loves this game. Everyone walks away from this game remembering something about their past that makes them smile and they always learn something. As many times as I've played this game I don't remember all of the answers from previous times, so it never gets boring. I like the aspect that people can come and go and no one minds. It often ends up being two of my cousin's husbands against six or seven people because they like the challenge. Sometimes it's 10 people against 5. No one cares because there is no great advantage to having more people. Often it creates more confusion since no one can agree on a date. It's always fun when you have that one person in your group that they are insistent that they KNOW it was 19-whatever when something happened because they were there, etc. Only to find out they were off by 10 years! There are lots of places to still find this game even though they no longer make it. No one I have recommended it to has had trouble finding it online. I have provided a link above for one source. Buy it, take it to your next party or get-together. You'll see how fun it is! When "wild" comes up on the die, that the person(s) rolling simply get to chose the category to answer from. Most of us seem to chose Music. This IS a great game. My only complaint is that it needs to be updated to include events from 1992-2009. In fact, that's how I stumbled upon your page. I was looking to see if MB had released an updated version. No such luck. You'd love it, I promise jjrubio! Thanks for stopping by! Sounds like a great game...I never heard of it until this HUB...I like it! Hello, KCC! As others before me, I never heard of this game before, I now wonder if there's a Spanish version, I'm just thinking of this punk friend of mine who's always correcting everyone on dates and years, I would just love to offset him by 10 years, if not more, with one of these questions! Laugh! Silver Freak: I mentioned two of my cousins' husbands above...they especially love this game. They were both born in 1960 and are particular good at answering 70s and 80s music and television questions. Usually, it's the &quot;headlines&quot; questions that we all have to guess on. It's always great fun to learn that something happened in the 50s or 60s that you thought didn't happen until the 80s. LOL Thanks for stopping by! Teresa: I saw several on eBay yesterday, including one that was still factory sealed. That's were a lot of my friends and family have bought theirs. I didn't include an eBay capsule here (or on any of my hubs) because eBay doesn't deem me worthy of awarding an account to. LOL I'll give you a shout the next family reunion we have, you can come along! Whikat: Thanks, I'm glad you enjoyed this hub. I think that's one of the things everyone likes about this game....it's super simple. There's never anyone that doesn't understand how to play it. You don't have to spend time going over things. If people want to go off and get something to eat and come back, no one minds. Then at the same time, if Uncle Eddie walks by and thinks he knows the answer to one he might whisper some year to someone and again no one minds. Then he's off back to doing something else. Thanks for stopping by! Good luck to all of you finding the game! Be sure to report back how well your friends and family enjoy it! This is a great hub, I really enjoyed how well you described this game. My family is really big on games at family get togethers this sounds perfect. I will be trying to track this game down. Thanks for hub. Ok -- I'm hooked. I'll have to look for the game on ebay. Although, to be honest -- it's really your family reunions that sound so much fun! Ooooooh, Richard would just KIL at this game, especially in the old movies and old Rock'n'roll categories. Sounds like a riot! Thanks for stopping by JG and thanks for thinking of me when you read about bluebonnets! Yes, we missed the snow. It did get cold though and I sat out in it today for a track meet. The bluebonnets are just gorgeous right now. KCC, I used to have several editions and variations of Trivial Pursuit, but I'd never heard of this game! Interesting twist that you only have to know (or have a good idea) the year an event happened. I'll have to check it out. btw, I just finished the first two books in Lisa Wingate's hilarious "Texas Hill Country" series and will start the third as soon as I log off. Naturally, bluebonnets are mentioned quite often, which always makes me think of you! And now your avatar is a pic of the bluebonnets in your front yard. Obviously the snow we got here missed you completely! Yes, MM....they are indeed bluebonnets. I took that picture earlier today in my front yard. Good enough for me. I have some friends who are totally into trivia games. This will be a good one to surprise them with next time we gather for a dinner and board games evening! Thanks. PS Love the new avatar! Bluebonnets, aren't they? LOL.....well, everyone assumes that if I've played it that many times I must surely know all the answers! And, I don't! There are probably tons of questions included in this game. And everytime you play you don't have the exact same questions. I'd be willing to bet there are still questions I haven't seen. It really is a great game. No one in the last 20 years has said to me that they didn't love it.